Dr. Levine was very attentive and listened to me while I explained to her what was going on with me. Sheexplained to me what her plan of care was for me. Very professional and the best bedside manner. Dr. Levine was very attentive and listened to me while I explained to her what was going on with me. She explained to me what her plan of care was forme. Very professional and the best bedside manner. Very disappointing considering she had 5 stars on Zoc Doc. She rushed me out the door and didn't take any ofmy concerns seriously! And even doubted my medical conditions that I have had for almost 10 years. Very very unprofessional. Very disappointing considering she had 5 stars on Zoc Doc. She rushed me out the door and didn't take any of my concerns seriously! And even doubted my medical conditions thatI have had for almost 10 years. Very very unprofessional. 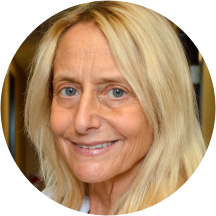 Dr. Barbara Levine-Blase is a qualified and compassionate family physician and primary care doctor serving the community of West Bloomfield, MI. Dr. Levine-Blase attended Des Moines University, where she received her osteopathic degree, and completed her residency at Wayne State University, Saint Joseph Mercy Oakland. Dr. Levine-Blase is a part of DMC Lakes Family Medicine. She is board certified by the American Board of Family Medicine and the American Board of Obstetrics and Gynecology. She is also a member of the American Osteopathic Association, the American Congress of Obstetricians and Gynecologists, and the American Academy of Family Physicians. Dr. Levine-Blase is devoted to ensuring the longevity of her patients’ health and developing long-lasting relationships with them. She takes her time to understand symptoms and give correct diagnoses to ensure the continued health of all her patients. She was worth the wait. Very thorough, kind, and understanding! I would absolutely recommend her!!! She was very nice and knowledgeable. She was very welcoming and professional! She was very knowledgeable and kind. I look forward to seeing her again. I appreciated her being attentive & explaining every process & answering questions. She was patient as well. Everyone was very friendly in the office! Dr. Levine-Blase was very courteous, friendly, and attentive! So glad I found a fantastic new doctor! I’ve really like this office. I’ve never experienced such a welcoming doctors office. I like the doctor, however I did not like the wait time, and when I mentioned my disappointment with the extended wait, she didn’t respond in a way she should have she acted as if my time is not important. I was amazed by her bedside manner, she literally sat with me and addressed my concerns. I left feeling heard, I knew she actually listened to me (which is rare with doctors lately). Her listening was confirmed when I received mylab results in the mail with notes from her that addressed exactly what we had spoken about (ie my eating habits). I am impressed and have found my new doctor! It was my first time there and I had all my previous files for what prescriptions I take daily or as needed, she said she would only do one and not be other one. She was rude about it and saidI need to see a physiatrist, and when I told her I'm out of the medication and that's why I booked the first appointment they had open I told her I would now shorty go into withdrawal from the adderal I've been on since I was 15, I'm now 21. And she said yes she is gonna let me withdrawal and wouldn't even help me with that which she initially said she would fill but at the end said she won't even fill that one. I wouldn't send anyone there at all. Ever. I’m a new patient. The staff was very friendly, and helpful with calming my nerves. Dr. Levine listens very well and is concerned with your health and well-being all around. She would always stop and make eye contact whenever I wouldstart speaking about my concerns. I would recommend her to anyone looking for a doctor. I love her! She's so friendly and not all rush-rush. I selected Dr. Levine-Blase based on the recommendations listed here. She is AWESOME! Her staff is professional and personable. Her office is a breath of fresh air after having been made to sit for hours after a scheduled appointment time with previous doctors! I highly recommend her! I have been looking for a primary care Dr. for over three years. I have bounced around to so many doctor's and I am finally happy to say I have found her. Dr. Blase was not only extremely personable, but thorough,attentive, and most of all great at next steps. I had my annual woman's health exam and she explained what I should do and what not to do. The staff is friendly, helpful, and on time. I barely waited 15 minutes and the staff got me in to be seen. She was personable, knowledgable, and generous with her time. She was thorough and a good listener. I would recommend her. The whole staff was super friendly and helpful. Dr. Levine-Blasé was knowledgeable and understanding. I don't think I have ever been in a doctor's office where everyone was upbeat and happy to care for patients. I was thoroughly impressed with Dr Levine and her office staff. I'm glad to call her my new primary care doctor. Very nic lady, very patient and takes time to talk to you and listen to what you have to say. I found the nurse and reception staff to be very nice and personable. Dr. Barbara Levine-Blase was extremely professional and thorough in her examination, and I enjoyed her spunky personality. The doctor was great. Very nice, polite and professional. She didn't just dismiss my issues like I've had happen at other place (urgent care). Highly recommended. She was very pleasant and personable, and treated my infection proactively. Since it was my first time seeing her, she also made sure to get my history, and schedule me for a follow-up visit and complete physical. The office staff were friendly, as well. Dr. Levine-Blase was compassionate and proactive about my care. She patiently listened to my history and asked necessary questions for things I wouldn't have thought of on my own. She helped me create a plan of care and had a veryassuring bedside manor. I am very happy to have found her for my primary care doctor and will refer family members. I really appreciate her approach and demeanor, comforting, confident and reassuring. Very thorough, caring and friendly. Staff is very friendly and the wait to see the dr, was not long at all. Dr. Levine-Blasé did a wonderful job at pin pointing all of my health problems. She works tirelessly and is an excellent doctor. She's also a very nice doctor and goes out of her way to help you in any way thatshe can. She answers any questions that you may have about your health and medications. Dr Levine provided me excellent service. I'm so grateful she was attentive to important information that was overlooked in my records. And she made provisions immediately to rectify the situations. Dr. Levine is an incredible physician! She is very personable and compassionate towards her patients, always takes her time and is very thorough in her care, she listens and always answers questions in way that you can understand. I definitelyrecommend her to anyone who is looking for a primary care physician and also for anyone who needs a woman's health Doctor. If you want someone who truly cares about your health, she is it! Very nice and personable. Handled my concerns on the first visit. Would definitely recommend her to others. Dr. Levine-Blase is an excellent doctor. She calmed my fears over a procedure I had to have and walked me through the process. She is a super sweet lady who will make you feel comfortable and in good care. I willdefinitely return to her and recommend her to friends as well. The office staff were friendly and professional. Dr. Levine was informative, caring and asked the right questions! I will be returning! Dr. Barbara Levine-Blase gave me the care, dignity, and respect that a person needs with their a Primary Care Provider. She was very courteous and her staff was very nice. I would recommend her to anyone. Very professional but also kind and sympathetic to my situation. Would recommend her to anyone. I really liked that she listened carefully to each one of my concerns and provided me with action steps to address the various health issues I am having. Omg !I love Dr. Barbara Levine Blase she is awesome physician. If your looking for a new family physician look no further. Dr. Blase is the bomb.com!